EVERY PLACE HAS its draws — usually specific attractions like the Grand Canyon, Stonehenge, or big cities like London or New York are what bring in visitors. A patchwork of notable spots makes up the place’s appeal, and everything in between tends to get skipped over. And yet Ireland’s allure is…Ireland. Driving incredible coastal routes and wandering the countryside will often reveal the most jaw-dropping of spots at every turn — this is just what the island looks like. Combine this natural beauty with historic small towns and modern cities, and you’ve got a vibe that’s totally immersive and hard to replicate. Below is just a handful of the views you might stumble across on your next trip, but know there are thousands more waiting to be discovered. If this sounds like something out of Game of Thrones to you, you’re not wrong. The magnificent grove of beech trees was used as the King’s Road in Season Two, but its history goes a bit further back: The Stuart family planted the trees in the 1700s to serve as an impressive entrance to their Georgian mansion. Nowadays it’s a huge tourist attraction, and it’s even rumored to be haunted by the Grey Lady. The best photos are generally taken from the south end, and know that you’re only about half an hour from the Giant’s Causeway, so it’s an easy stop. The name translates as “Valley of Two Lakes,” which gives you a big hint about where you’ll find this spot. 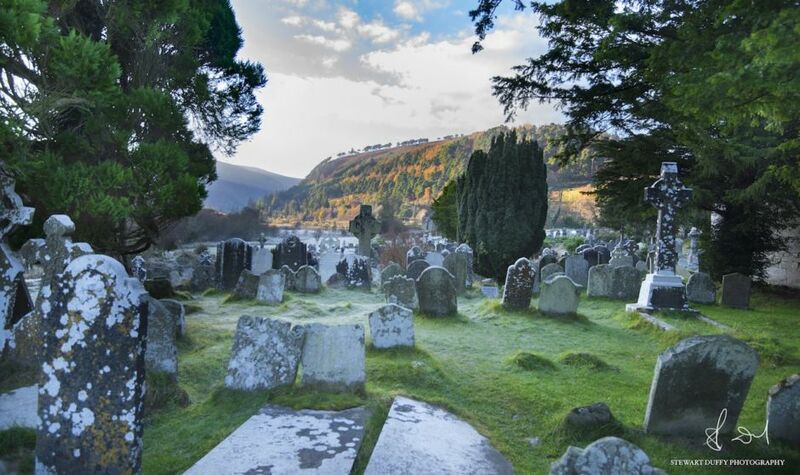 Glendalough has long been a popular destination for two reasons: One, it looks like what you’re seeing above, and two, it’s home to one of the most important monastic sites in all of Ireland. 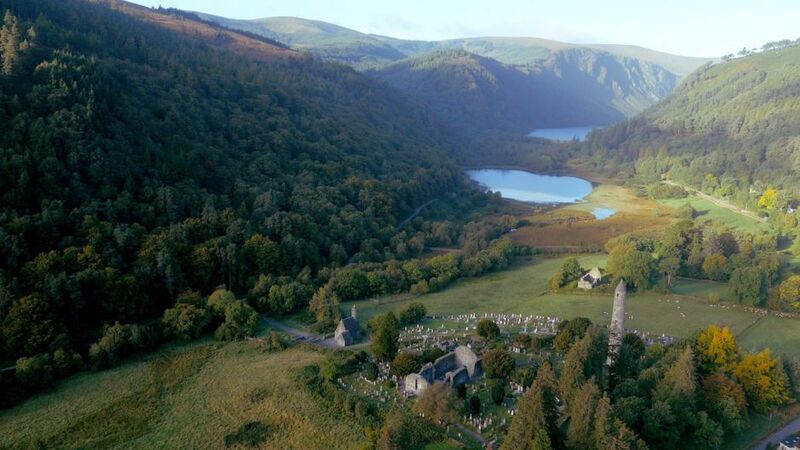 If you’re interested because of reason one, know that the valley sits in the Wicklow Mountains National Park. 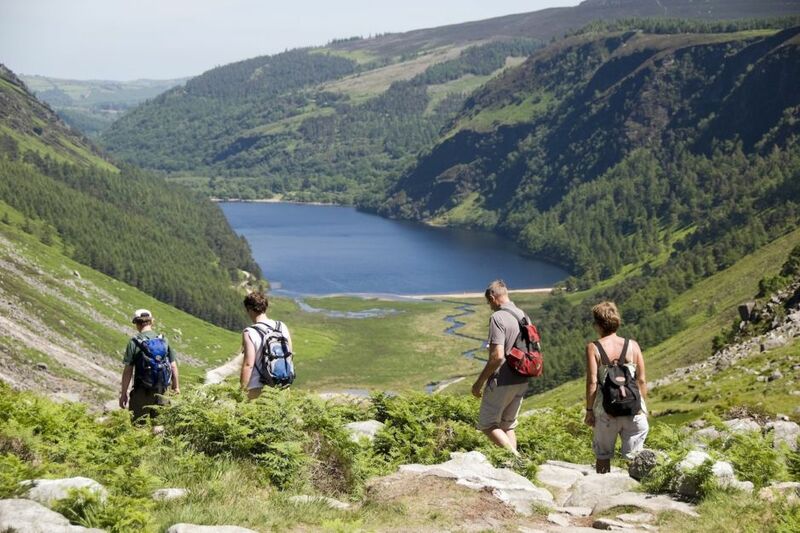 There are nine color-coded hiking trails around the lakes (their starting points surround the information office by the Upper Lough), and the Wicklow Way — a long-distance walking trail — passes through this area. Rock climbing and bird watching are popular here as well. As for reason two, St. Kevin founded an ancient monastic city here, and its remains can be seen today. The Round Tower, standing at 100 feet tall, is arguably the most impressive structure, though the Gateway is also worth your attention. Ireland may not be overflowing with aurulent palaces, but that just makes its noble history all the more tangible and real. 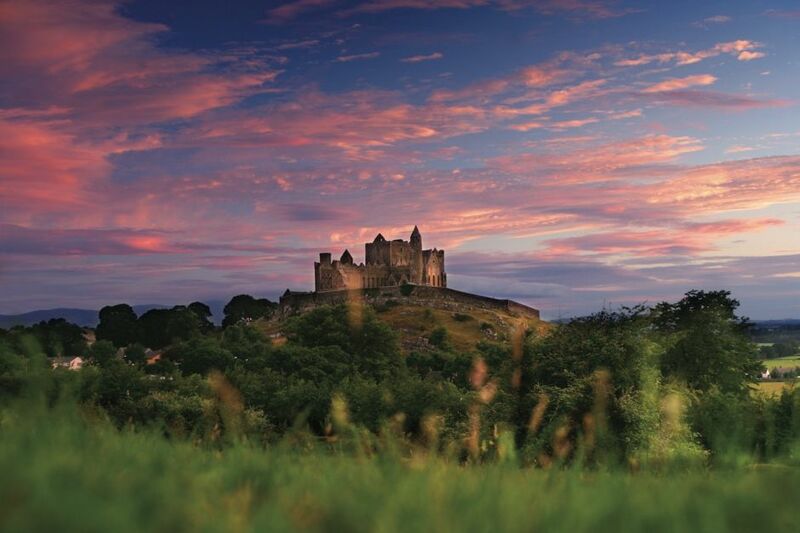 The Rock of Cashel — a long-standing icon in Ireland’s Ancient East — dates back to the 1100s, when it was the seat of the High Kings of Munster prior to the Norman Invasion. 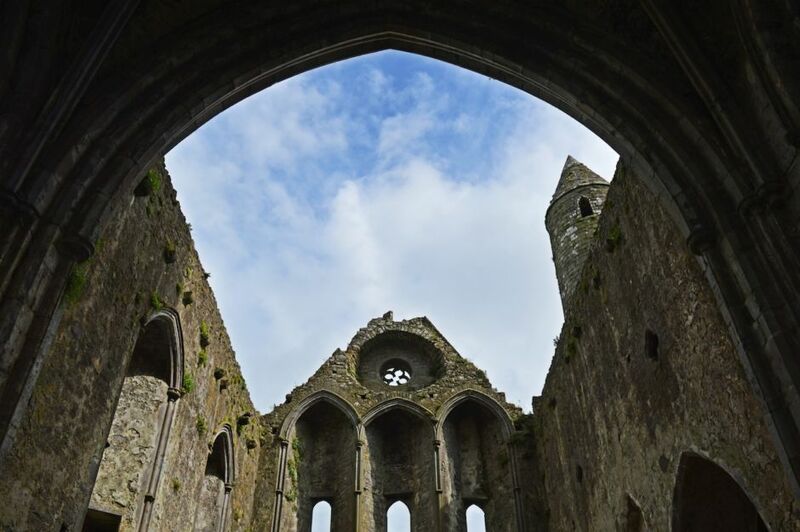 It’s worth the €8.00 (about $9.50) to explore the inside — you’ll see one of the best collections of medieval architecture and Celtic art in the world — but definitely wander the grounds (sheep!) for a shot of this towering behemoth lording over the hillside. 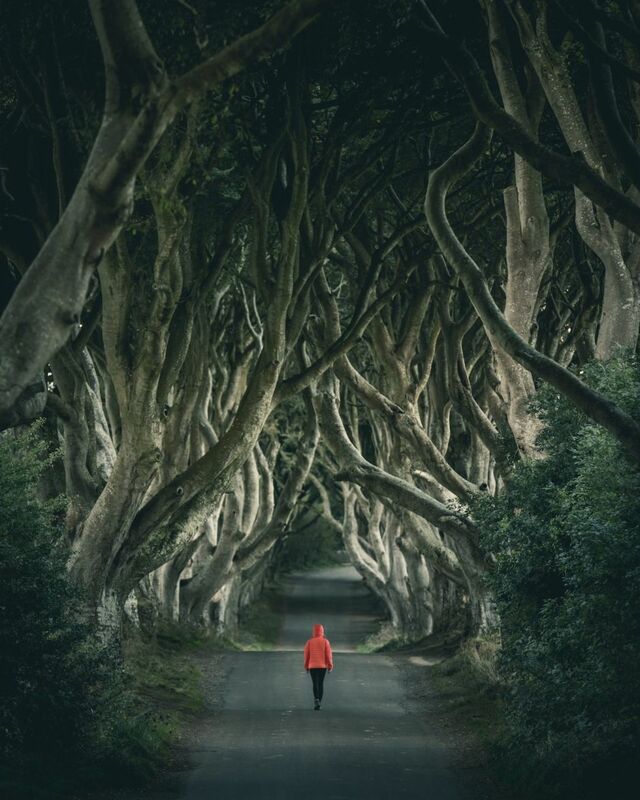 Ireland’s been covered by ice many times over the eons, and the scars left behind are the best showcase of Mother Nature’s powerful, artistic influence. 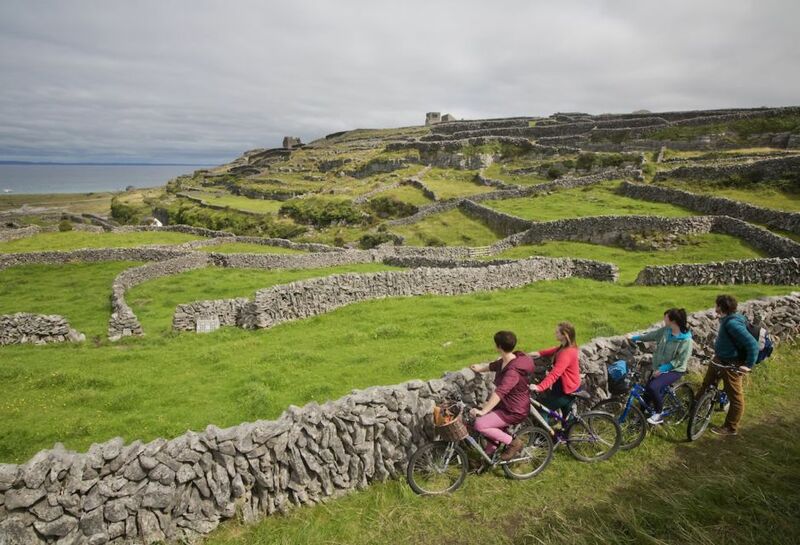 Many of those effects — limestone eroded into towers and caves, boulders strewn all over the place — are on full display in The Burren. 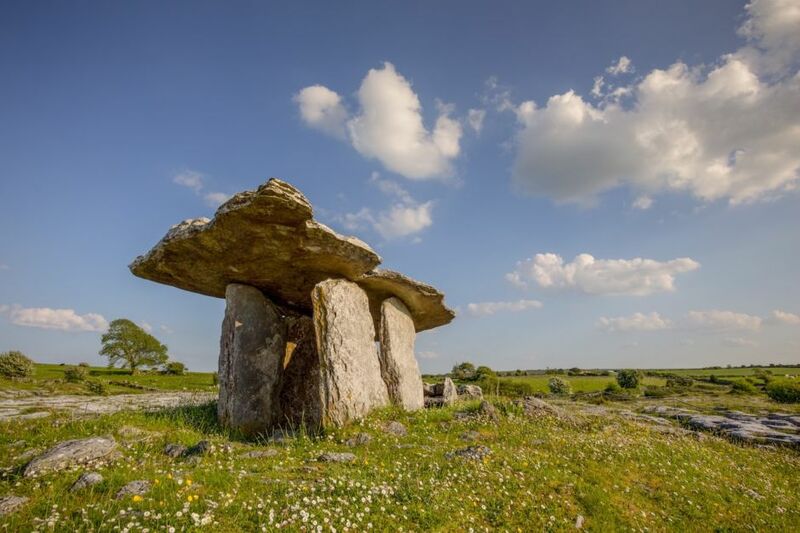 The area is technically about 100 square miles, but we recommend heading to The Burren National Park, where you’ll find a series of trails (ranging from 30 minutes to three hours) that provide an up-close look at this unique landscape. 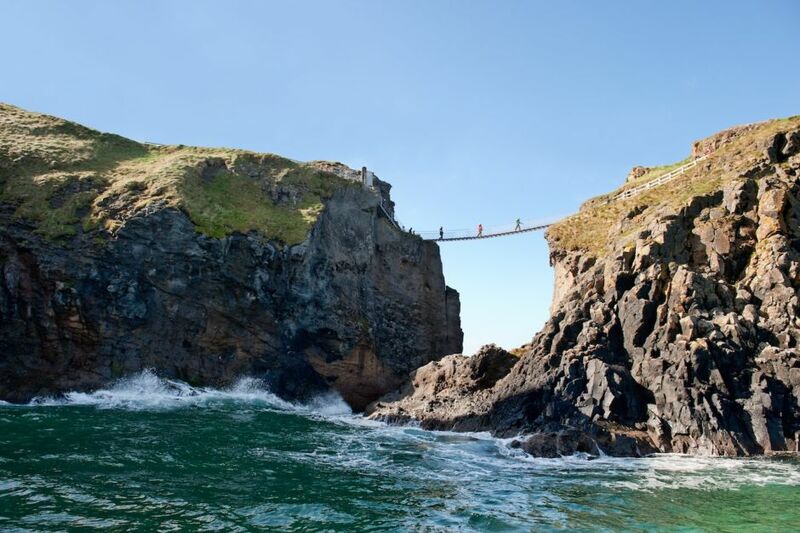 And not too far away you have one of the most beautiful — and most popular — spots in Ireland. 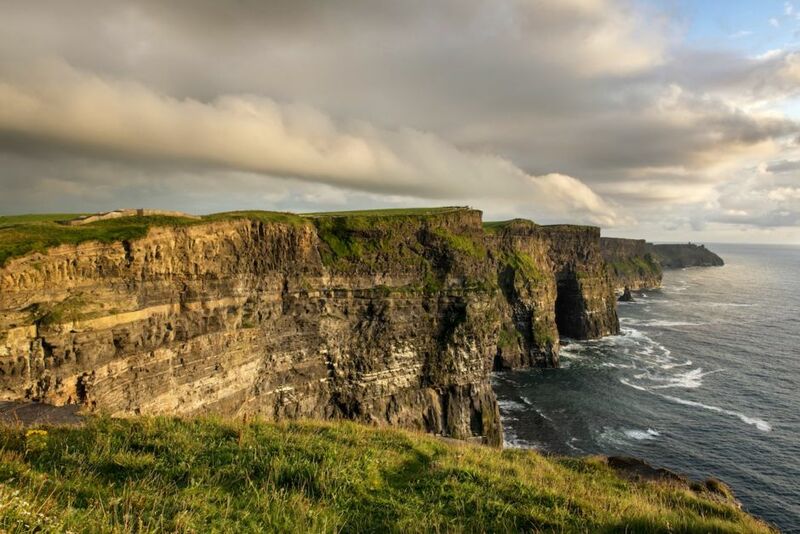 The Cliffs of Moher rise starkly to almost 400 feet out of the Atlantic near Hag’s Head, and they’re the most dramatic (702 feet) around O’Brien’s Tower. 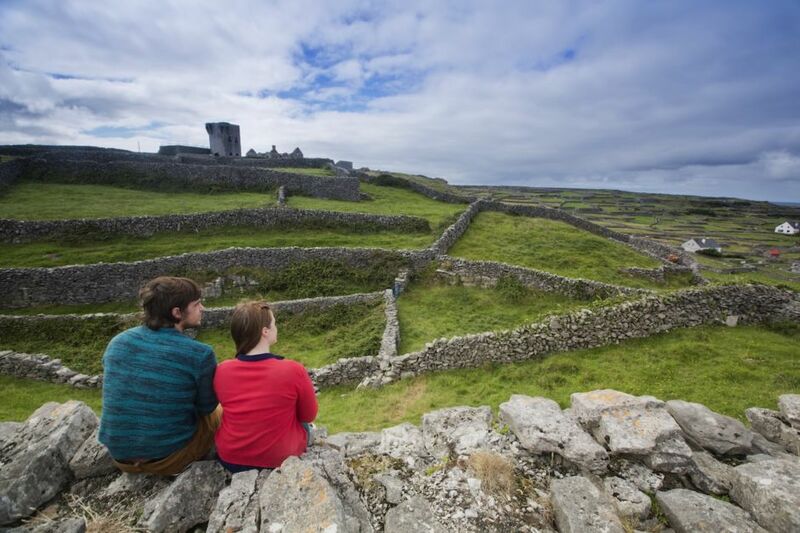 From there, you can see all the way to the Aran Islands, the Maumturks, and Loop Head, but the rugged coastline of shale and sandstone itself will be what stops you in your tracks. You’re seeing this, too, right? 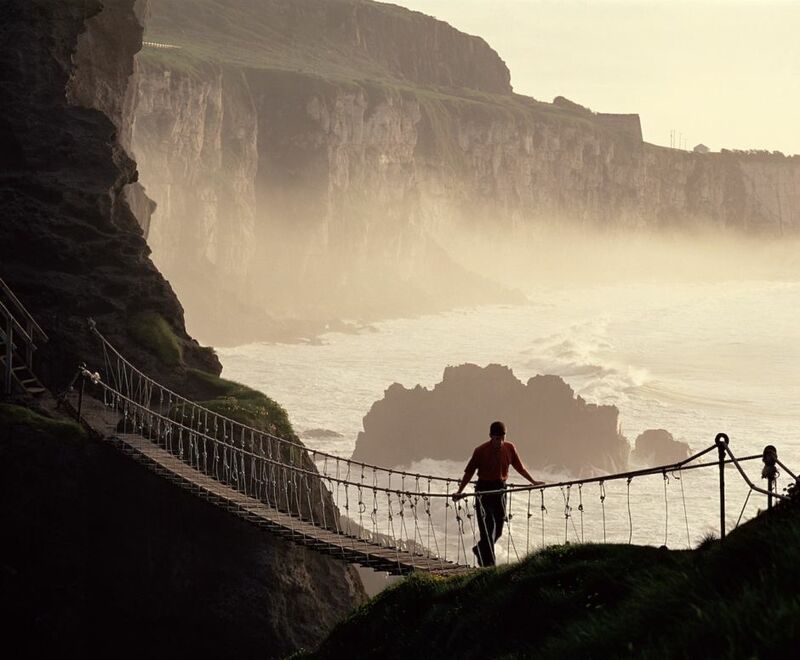 This simple suspension bridge may be only 66 feet in length, but the views it affords are 66 feet of incredible. 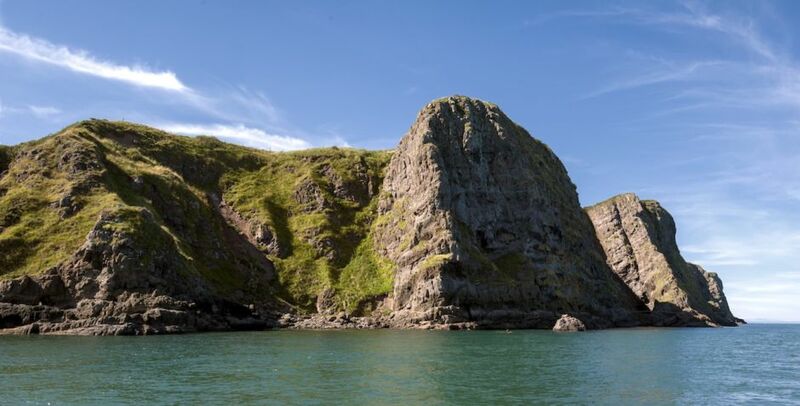 It connects Northern Ireland to the tiny island of Carrickarede (technically the neck of an ancient volcano) 100 feet above the ocean waves, and on it you’ll find one lone building — a fisherman’s cottage from a bygone era. 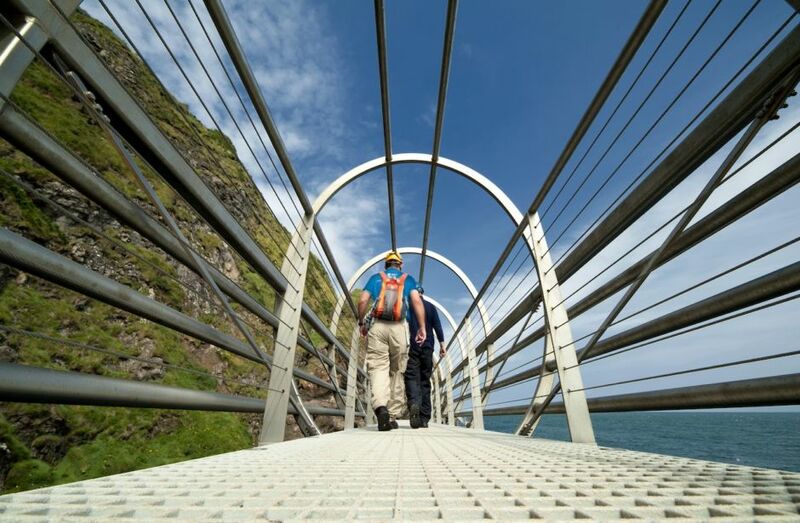 Crossing the bridge is £7 for adults (a little over $9), and hours vary by season. The views, however, don’t vary — they’re always incredible. Not all Ireland’s best views come in shades of green, as proven by the rainbow houses of Cobh. But it’s more than just pretty scenery here — it’s history, too. The Titanic paid a visit just over a hundred years ago (Cobh was the ship’s last port of call), and if you’re an American of Irish descent, the odds are good that your ancestors passed through this very harbor. 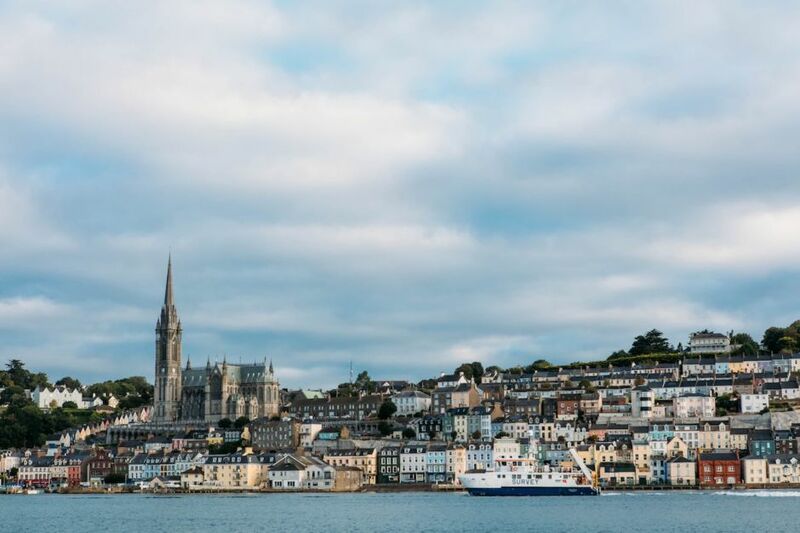 Between 1848 and 1950, over 2.5 million passed through Cobh, making it the most important port of emigration in all of Ireland. 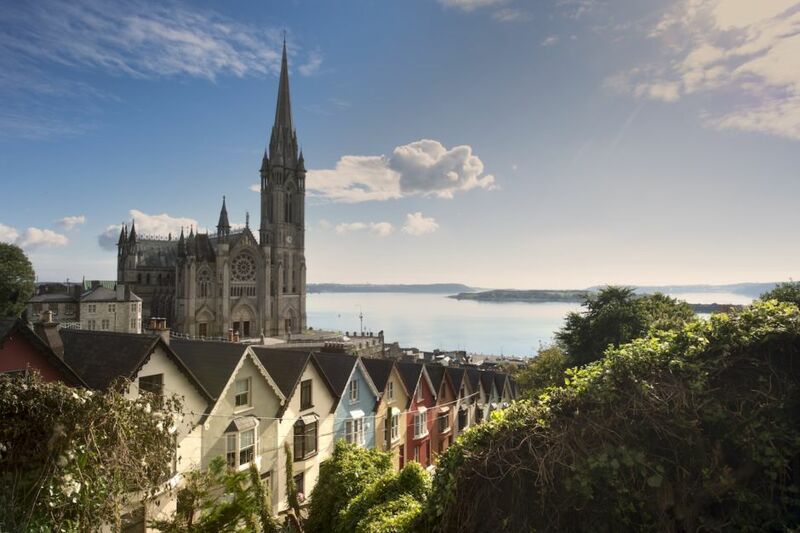 If history is your thing, know that Cobh hasn’t changed much since 1912 — the streetscape and the piers remain virtually the same, and the spire of St. Colman’s Cathedral, reigning over the hills stretching out to the ocean, is the icing on the cake. 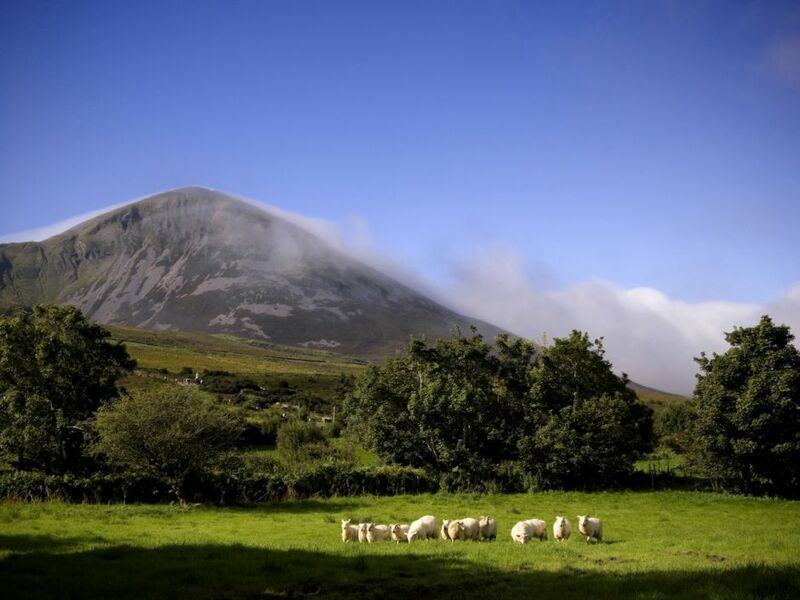 If you truly want to honor St. Patrick, make the pilgrimage to Croagh Patrick, or the Reek, as it’s known locally. On the last Sunday in July, adventurers and pilgrims alike (some 25,000 of them) gather here to commemorate the saint, who’s said to have fasted and prayed here for 40 days (in the year 441 AD). You, of course, can come whenever. To do the trek yourself, head to the village of Murrisk, roughly five miles outside the town of Westport (you’ll find the information center there, too). Most hikers will need about about two hours to reach the 2,500-foot summit. 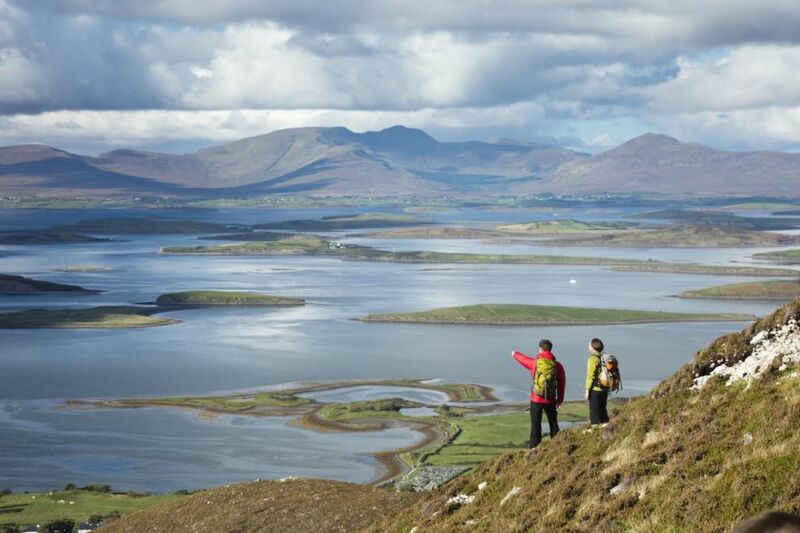 When you get there, you’ll be rewarded with stunning views of Clew Bay, which is supposedly filled with 365 islands, one for every day of the year. Have fun counting! 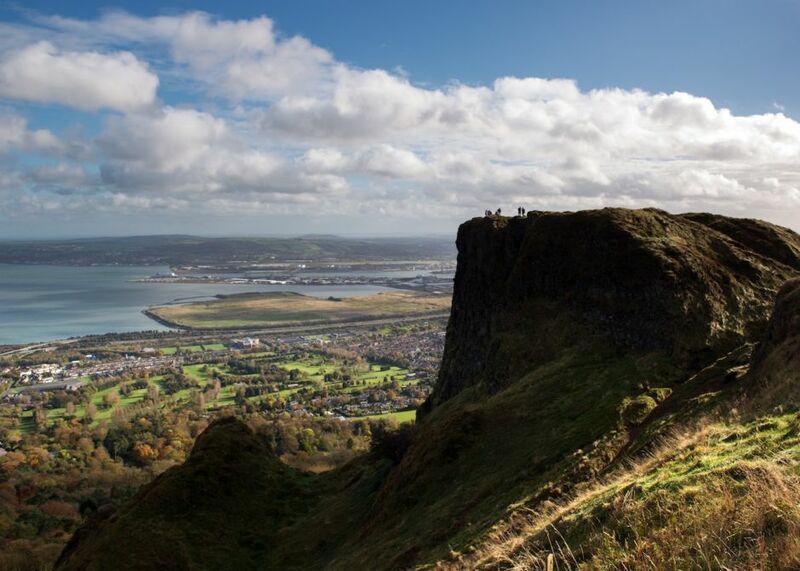 For the best views over Belfast, you’ll need to make the 4.5-mile trek up to the top of Cave Hill. 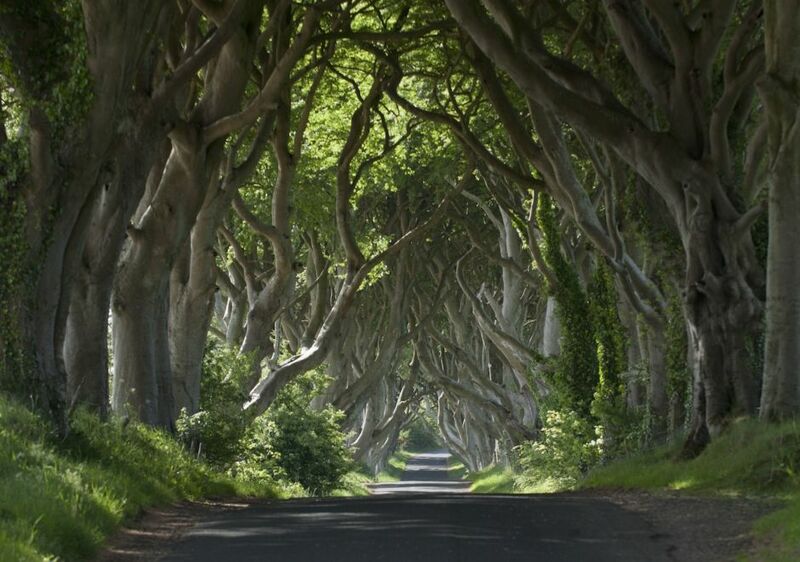 Luckily, you might already be on the route — it starts at the foot of Belfast Castle. After you’ve toured the grounds and grabbed a cup of coffee, look for a path to the left of the castle. Take it, turn right at the first junction, and hike deep into the trees. On your way (which will be unpaved and challenging at times), you’ll run across three caves — rumored to be man-made — but the real draw is the summit. 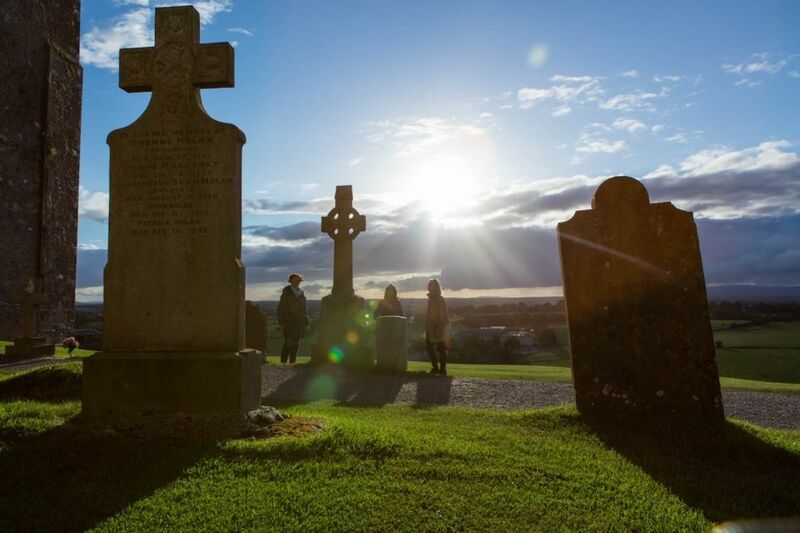 An hour and a half later, you’ll be stepping foot on the grounds of McArt’s Fort, looking out over the entire city, and gazing as far as the Isle of Man. 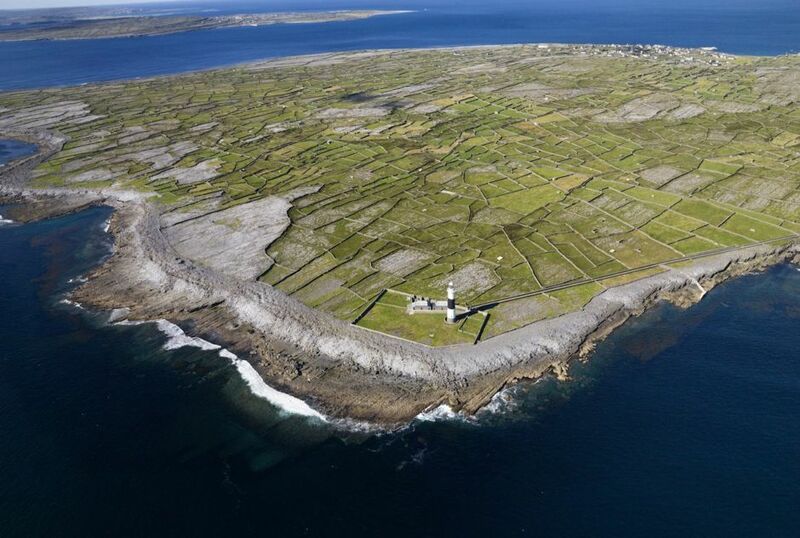 Three islands — Inishmore, Inishmaan, and Inisheer — off the west coast of Ireland make up the Aran Islands. It’d be tempting to think their beauty would be the main draw, but history rolls strong here, too. 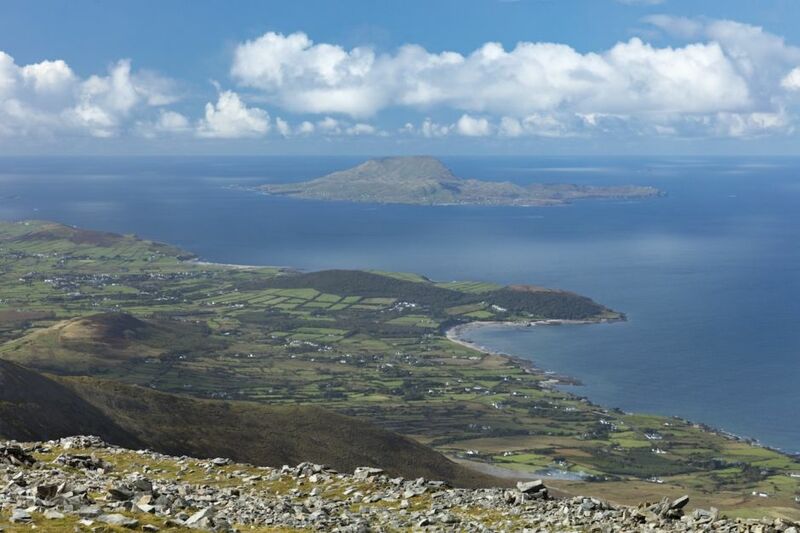 For starters, the islands’ inhabitants, while definitely fluent in English, speak mostly Irish. But beyond the strong local culture, there’s a number of Bronze and Iron Age forts that date back to the 1300s. 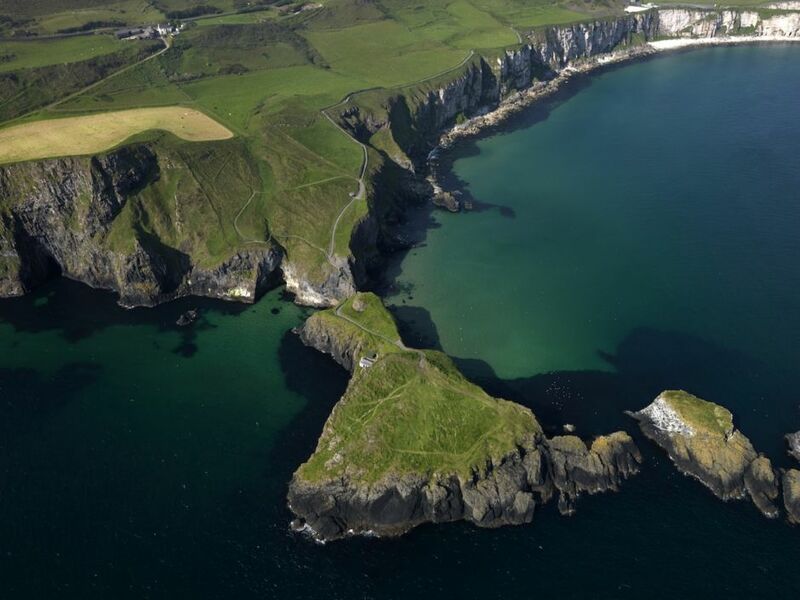 These are some of the oldest archaeological remains around, and considering they’re sitting on some pretty epic coastline, they’re likely only going to become more and more popular. To visit, ferries run year-round, with the most common time to jaunt over from the mainland being summer. 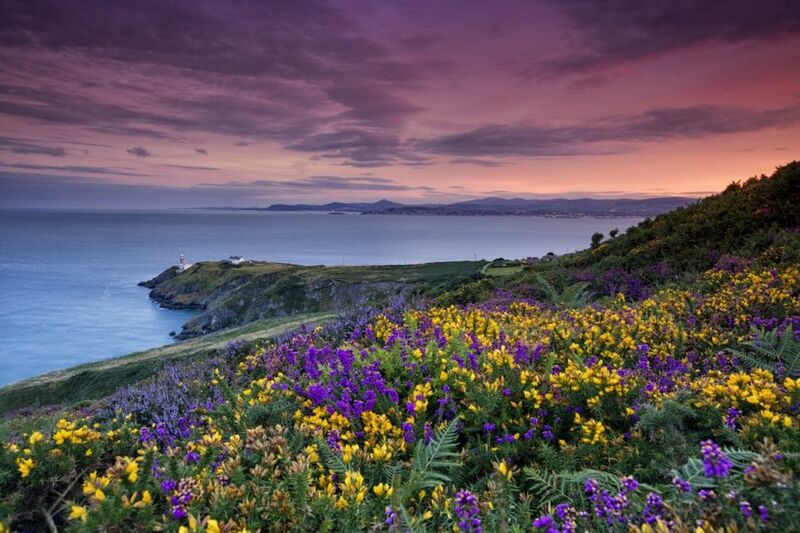 Would you believe it if we said this is a suburb of Dublin? Yep. If only all suburbs looked like this. 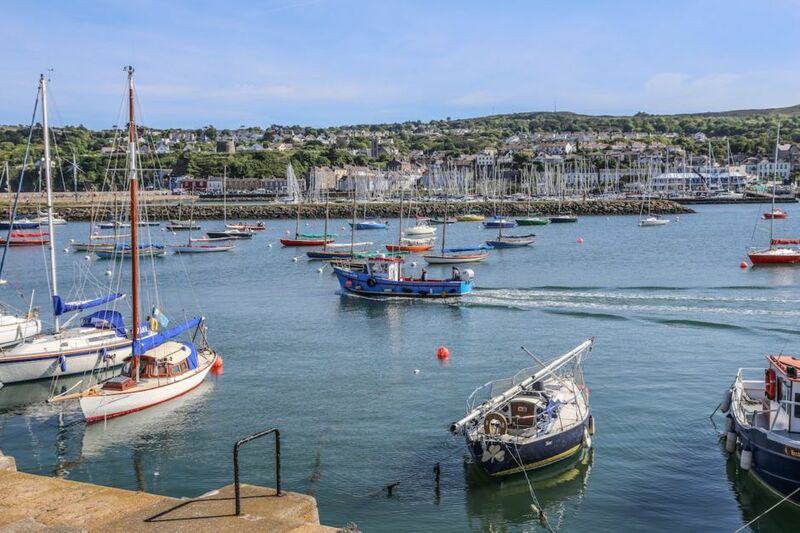 Howth (pronounced to rhyme with “both”) is on a peninsula just north of Dublin, and apart from being absolutely beautiful, it’s home to Howth Castle, one of the oldest occupied buildings in the region. 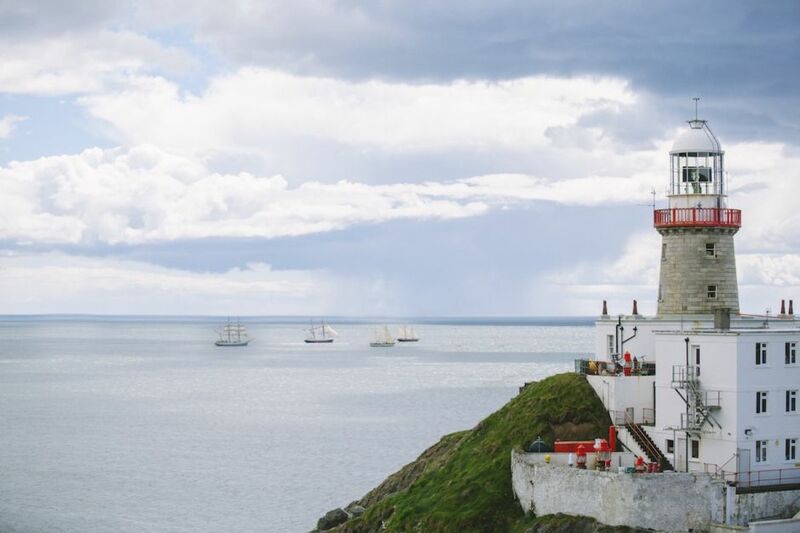 Hit up the Howth Market to grab some picnic fare (cheese, nuts, cupcakes), and head along the 4-mile-long Cliff Path Loop (on two feet or two wheels) to get all of the best views. If the easy-to-moderate trek leaves you feeling like you need a good sit-down, top off the experience at The Brass Monkey — for tapas and wine, sure, but also for some of the freshest seafood around. The most dramatic walk in all of Europe? Possibly. 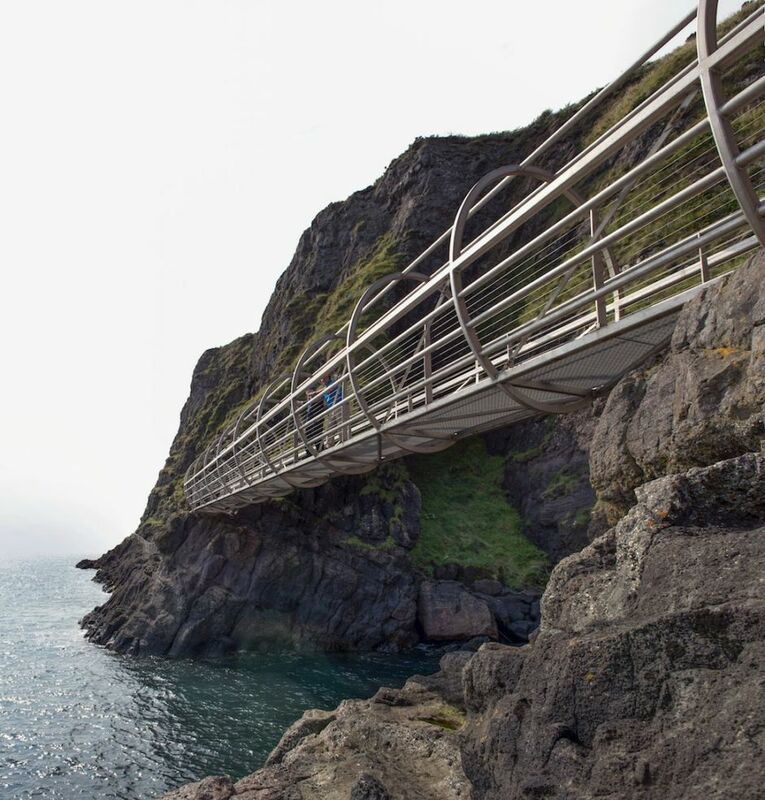 This cliff-face path runs along the Gobbins cliffs, 30 feet above the salty Irish Sea, across bridges, through tunnels, and past rocky caves. At one point, it juts out above the water forming a natural aquarium, and at another you’re climbing through rock known as the Wise’s Eye. Put this one on your calendar for spring of 2018, as the walk is closed until then. You’ll also need to book a tour for the roughly two-mile, two-hour experience. 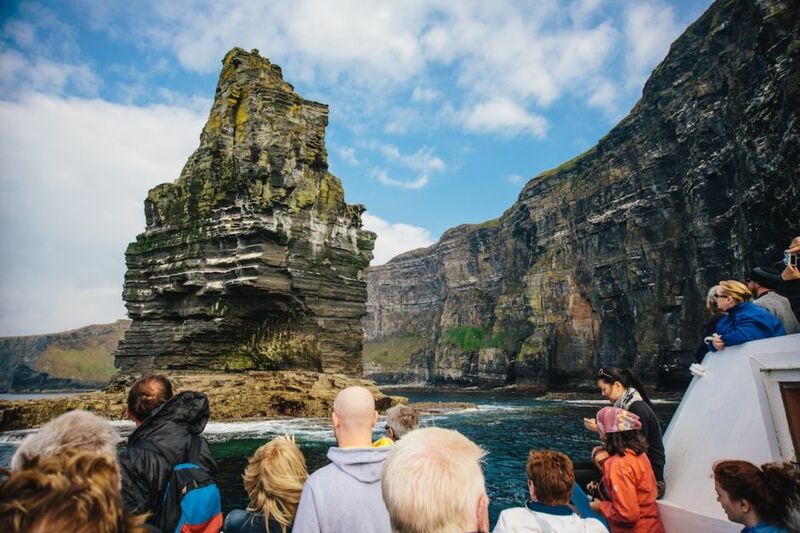 Bring sturdy footwear for the steep ascents, keep an eye out for puffins, and, of course, don’t forget your camera. Whatever you sneak a peek of here, it’s sure to be incredible.